Earlier, senior BJP leader Kavinder Gupta had said the state administration was contemplating to simplify the procedure for grant of PRCs and a timeline should be fixed for its issuance. 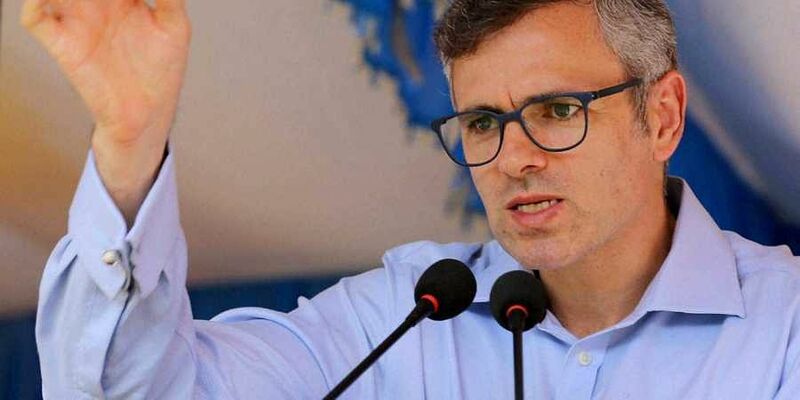 SRINAGAR: National Conference (NC) vice-president Omar Abdullah on Sunday said his party would oppose any move aimed at changing the procedure for granting permanent resident certificates (PRCs) in Jammu and Kashmir. Abdullah described the reported directions of Governor S P Malik-led state administrative council (SAC) in this regard as "an attempt to distort the demography of the state" and "detrimental to J-K's special status". Earlier, senior BJP leader Kavinder Gupta had said the state administration was contemplating to simplify the procedure for grant of PRCs and a timeline should be fixed for its issuance under the Public Services Guarantee Act. "We are obligated to write to you at a time when you are mulling changes to the permanent resident certificate rules. Our party, the National Conference, is of the opinion that this is an attempt to distort the demography of the state and finds it detrimental to J-K's special status," Abdullah said in a letter to the governor. Asserting that the SAC was "unilaterally bringing changes" in the working of institutions and procedures in the state, the NC leader said it was against the principal and spirit of democracy and participative governance. "The (media) reports say that directions have already been issued to the concerned officials to make changes in the procedure pertaining to the issuance of these certificates," Abdullah said. "It is highly unfortunate that no wider consultations with any political party of the state and other stakeholders were carried out," he added. The former Jammu and Kashmir chief minister said "any misadventure could disturb the fragile and precarious peace" in the sensitive state of Jammu and Kashmir. "In addition, it is a brazen act to further create mistrust among people here and can have serious ramifications for the prospects of peace and harmony in J-K," Abdullah said. The NC leader also pointed out the timing of the SAC's reported move. "The assembly has been dissolved and elections are due within months. This makes the move of your administration open to question as we believe the role of the government is more in the nature of a caretaker government," Abdullah said. He asked the governor to roll back the decision immediately, saying his party had decided to oppose it. "We hope that you roll back any decision made in this regard immediately. We also want to convey and register our displeasure and a unanimous decision to oppose this move," he said. The Supreme Court is currently hearing a bunch of petitions seeking abrogation of the legislation, which was added by a presidential order in 1954 through Article 370 of the Constitution.